Let’s take a look at how event production teams are once again placing people at the center of event development and creating great experiences. The event industry has at its core one sole focus: human experience. Technology has, however, brought us the ubiquitous smartphone, omnipresent, in every hand, at just about every moment, of event attendees, speakers, and vendor representatives alike. As a result, the act of bringing people together and providing memorable experiences becomes exponentially more difficult for event production companies and planners. The good news? Human-centered event production is making a comeback, underpinning the majority of future trends in the industry. Let’s take a look at how event production teams are driving these trends forward and are, once again, placing people and their needs at the center of event development, and focusing on creating great experiences as a result. When mapping out a process or an event, it isn’t uncommon to start at the top and work your way down, focusing on the big structural and organizational elements first, before briefly stepping back and taking a view from the user’s perspective. On paper it’s easy to see this process is flawed from the start, but in practice that can be a different story. Luckily we are seeing a complete reversal of this process, with more and more time being spent on the ground identifying and refining the ideal user experience for event attendees, which is how it should be. As Event Production has grown as an industry and events themselves have grown in size, more standardized approaches have been adopted. Unfortunately, this tends to favor the crowd and neglect the individual, often resulting in experiences that are less than memorable. A 2013 study by Amsterdam RAI analyzed the behaviours of future exhibition goers (Millennials) and found that they will be looking primarily for experiences that are real and personalized. Or, in other words, experiences rich in empathy, which resonate with the user on a personal level. Not so difficult, is it? The transition of attendees to participants is also attributable to the Millennial generation. To be a passive observer at an event is not at all important to this group of participants. 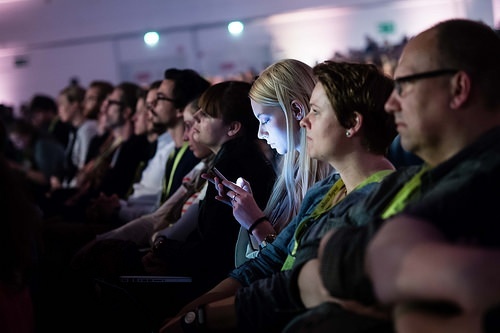 As a result, events that focus on providing interactive experiences which allow the participant to be more deeply involved and of influence to the event are quickly becoming the norm. Technology can, when integrated properly, not only facilitate person-to-person engagement and communication, it can also deliver some amazing opportunities for interactivity. Bottom line, it’s essential that event producers work to leverage emerging trends in technology and provide experiences that not only engage but emotionally move participants. The audience today isn’t interested in sitting on the sidelines, they are interested in becoming an active and integral part of every event, from the research and planning stages, right through to the delivery of the event itself. We can see this with the use of hashtags shared by participants while at events, photos taken and shared in the social media space, blog posts written by attendees and influencers both pre- and post-events, rich media created while on site at events (podcasts, videocasts, etc.). And as users become more involved earlier on in the process, the level of personalization of events will only increase. This is pretty cool and a significant move forward in the event industry. Most importantly, we can look forward to a more diverse offering of memorable experiences. Think about the events you’ve attended in the course of the last year. Have you seen a move toward interactivity and more personalized experiences? Was there some component of an event that really resonated with you? If so, we’d love to hear about it.